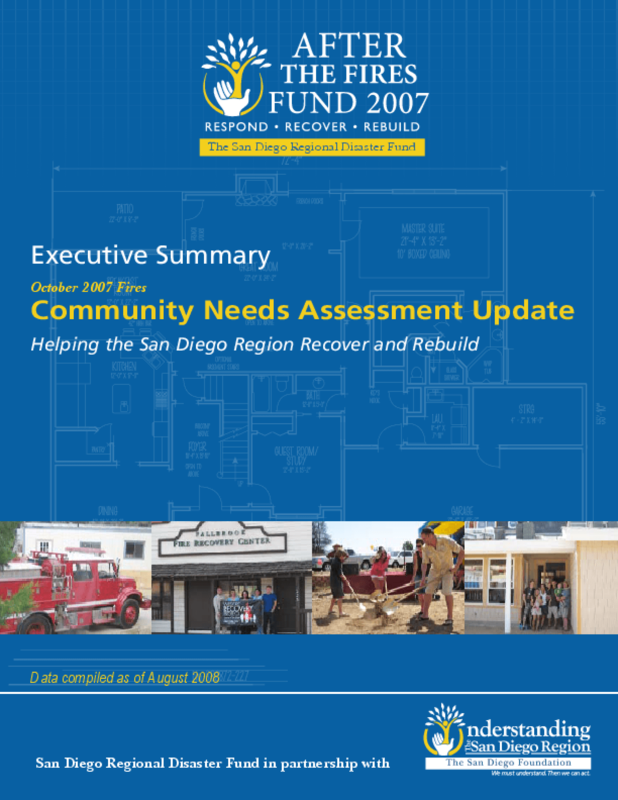 Looks at recovery efforts following major fires in San Diego County and projected community needs as of August 2008. Details priority areas such as mental and physical health, rebuilding, and the environment, and the situation in each impacted community. Copyright 2008 San Diego Regional Disaster Fund.